It’s beginning to turn cold in Michigan, but that’s not going to stop KMR from riding. Sure, the rides may be a little shorter, but that doesn’t mean there any less of a good time. We met up at Quarterkick at 5, like every Sunday, with the only goal being to check out the newly opened Old Goat Tavern near Western. Everyone bundled up and we took a nice run through the Vine neighborhood (were we getting more stares from passers-by because of the cold? MAYBE.) then around Western’s Ring Road before making our stop at Old Goat where the food was good, the staff very friendly and accommodating, and the portion of fries was MASSIVE. After wrapping up dinner we headed back for the shop and wrapped up the night with a few beers and some good conversation. Aaron Bernabe liked this on Facebook. Patrick Hershberger liked this on Facebook. 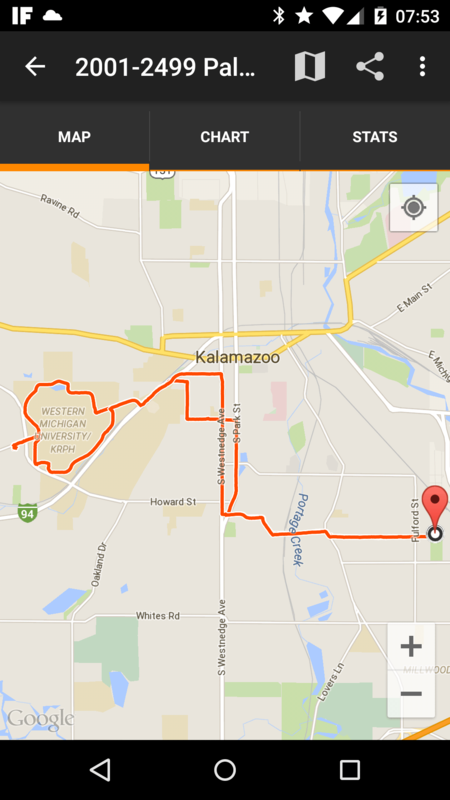 Kalamazoo Moped Riders liked this on Facebook. Greg Heller liked this on Facebook.